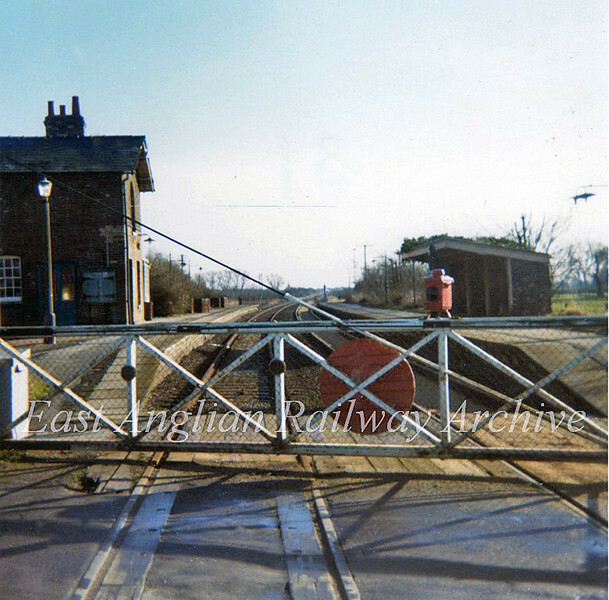 Swavesey Station, Cambridgeshire in April 1973 facing Longstanton. This was the former Cambridge to St Ives branch which closed to passenger traffic on 5th October 1970. No trace of the station remains today, the track bed has been converted into a misguided busway.